So after an adventurous weekend out of town(as detailed in my previous entry), I came home to a big pile of movies that I realized I needed to review. Thankfully, days off like today are perfect for that. And naps. Plenty of naps. Ready to make your wallet hurt? Good! Because there's a lot here you're gonna want(and to be fair, maybe some you don't). A controversial one, for sure. This movie divided a lot of fans. Some liked it, some hated it. Personally, I loved it. In my opinion it was perfect in every way. I know I'm in the minority but I enjoyed every second and honestly consider it the new gold standard for superhero/comic book movies. 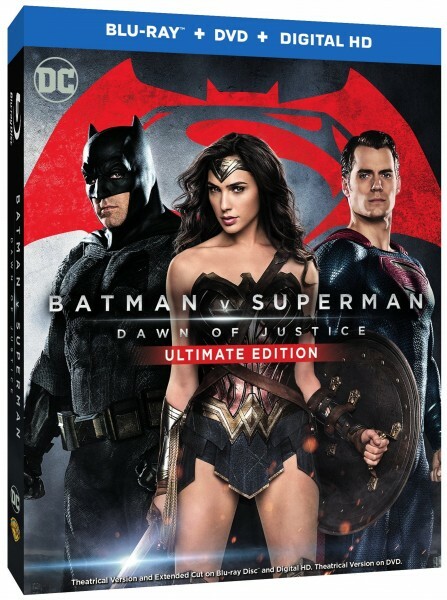 While I loved the theatrical cut, I must say, it loomed in my mind just what was taken out and being put in the "Ultimate R Rated Edition". Well, I certainly found that out upon receiving my copy. Anyone who didn't like the theatrical cut of this movie, I feel like would prefer the Ultimate Cut. The "plot holes" complaints I heard about were instantly covered up. A lot of things director Zach Snyder had to go out of his way to explain(which, admittedly is super unnecessary on the part of any director) has been presented in it's fullest, true form. The scenes are also edited a lot crisper and seamlessly, which was another common complaint I heard. It seems Snyder had a little bit more control in this release and quite frankly, I love this version even more. It's an even better movie than what we got! A lot more action, more scenes added to that famous fight between the two title characters and some more dialogue added to assist in the story telling. The features are just as enjoyable. Special looks at the characters and their roads to the big screen, a look at the new Batmobile, interviews and so much more. A solid pick from me. If you didn't like the movie int he theater, give the Ultimate Edition another chance, you may like it more. Ok. Confession time, folks. Up until now, I've never seen any Killer Tomatoes movie. Yes, yes, yes. I know. Gimme my lashes and get it over with. I will confess to watching the animated series in the early 90s on Fox Kids, but I don't really know if that makes up for anything. 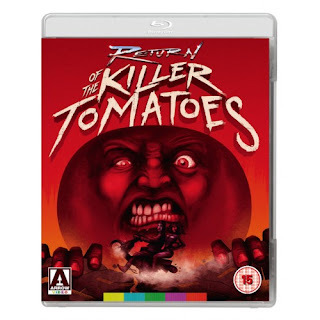 Thankfully, Arrow Video is releasing Return of the Killer Tomatoes and I can start fixing my mistake there. Now that said, as someone who is seeing it for the very first time, I must say that I expected to love it, but not love it to the point that I want to travel back in time and find a way to have seen this sooner. This movie, an obvious massive cult classic, was released in 1988, exactly tens years after the release of the original and kicked off Tomato-Mania. Well, not quite, but it certainly helped remind people of how much fun the original was and lead to 2 more sequels and the cartoon series, so it must've done something right. The extras are even more fun, especially if you love interviews, commentary, and fun facts. Check them out! A great effort by Arrow. I'm so glad I got to see this finally, and with a great transfer and a great sound. A very recommended purchase! 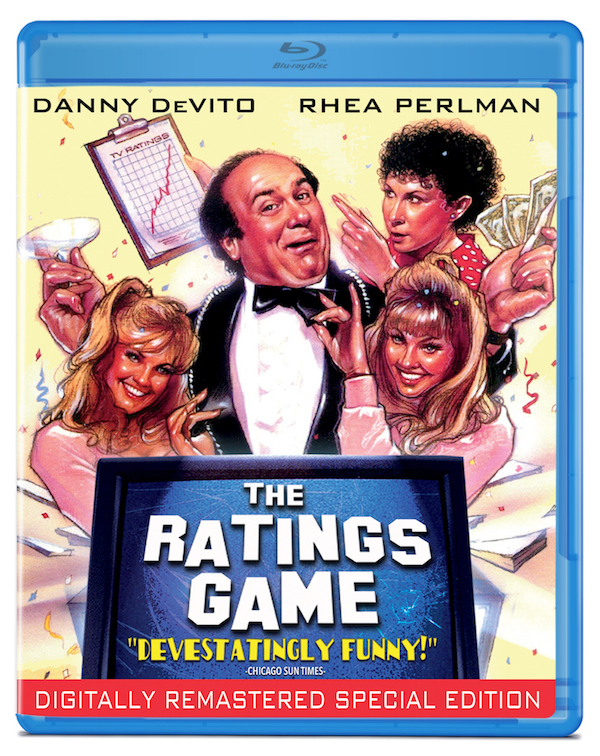 Starring Danny Devito as fast talking, fresh from New Jersey, Vic DeSalvo who's just dying to get his tv show on the air and Rhea Pearlman plays his love interest who just so happens to be in charge of monitoring tv ratings. Vic finally gets his tv show on the air, but a the cost of his morals. Now, I was prepared to write "this is an unusual release for Olive to add the special features it did" but I gotta be honest, after watching this for the first time, I totally see why and am very grateful. 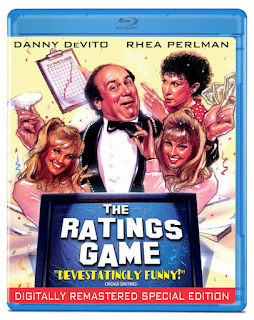 Some of Danny Devito's own short films were included and are just as hilarious as this movie. An updated, more modern trailer was made for this release as well. If you're a fan of silly comedies, this will be the right one to pick up! Full Moon is giving us this great shlockfest classic from b-movie master, David DeCoteau. This is one of those movies I would see int he video store constantly and rent. To be honest, I rented this a few times and more than anything, thought it was a perfect movie to watch on a Friday night. Why wouldn't it? Goofy, silly, and campiness behind every turn. Plus, Linnea Quigley and Brinke Stevens at their hottest! Why anyone would turn this down is beyond me. This is one of those movies that bluray does it justice and is the best way to see it. Sure,a VHS is never a bad way to watch these movies, but really, some of those vhs copies were pretty low quality when it came to picture and sound. This takes care of both with picture and sound so crisp, you'll think you're in the Bowl-O-Rama! As you can tell, I love features. Especially commentaries and interviews, and this comes with fun commentary featuring director David DeCoteau, Brinke Stevens and writer of the movie, Sergie Hasenecz, which provides a lot of laughs and a lot of fun stories from the making of the movie. If you're a fan of those fun b-movies you used to rent and need a new copy, this is the copy to get! I'll be back! While these releases were great, the others will be even better! Thanks for reading!